Prisma Interius VIII (reduced version, 2018) is part of a series of pieces for the secondary rainbow synthesizer, an instrument which Catherine Lamb has developed in collaboration with Bryan Eubanks. The synthesizer filters the sounds of the outside environment into a harmonic field, basso continuo, or tanpura and creates a bridge between the musical form and the actual perceptual listening space. The piece explores the gradations of perceptual and musical clarity and its limits within an environment. 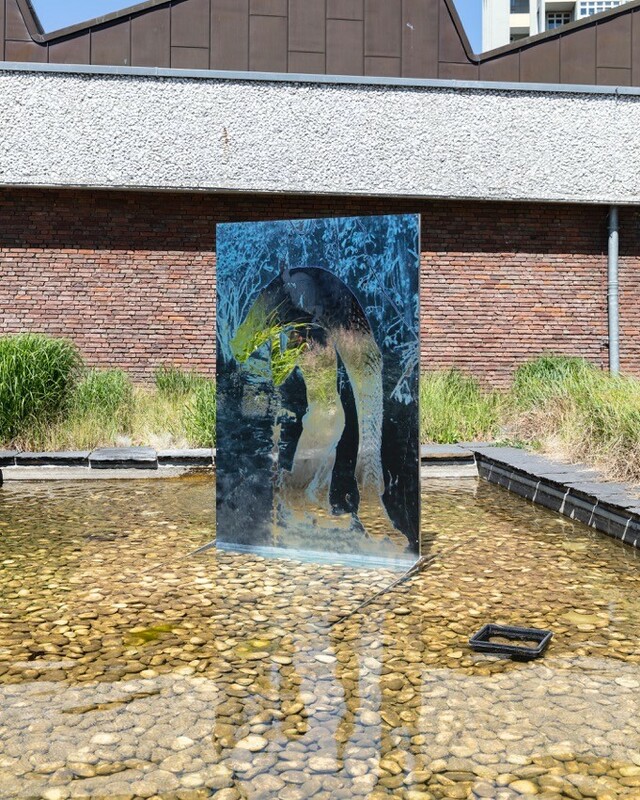 Prisma Interius VIII (reduced version) activates Özlem Altın’s 10th Berlin Biennale contribution at Akademie der Künste’s atrium called Gräsergarten.